It's often said the best things in life are free, though if everyone took that to heart, your flatscreen would definitely be stolen. 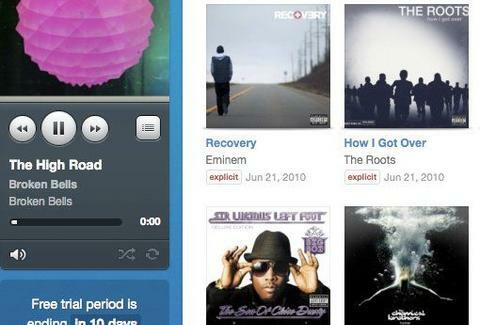 Switching from stealing music to selling it, the guys behind Rdio. A new joint from the founder of crazy-free/crazier-illegal download behemoth Kazaa (plus a Skype co-founder to boot), Rdio's signed contracts with each of the major labels to kick start a subscription-based social music portal, which allows users to curate & stream playlists from an on-demand cloud library so stacked it's out of the stratus-sphere. Your e-collection can be kick-started by auto-culling any tracks from your iTunes playlist that're also in their catalog, but users can also search by individual artist/album/song, filter returns by release date/popularity, and even get suggestions based on artists they dig, so R. Kelly fans can finally discover the original New Pornographers. 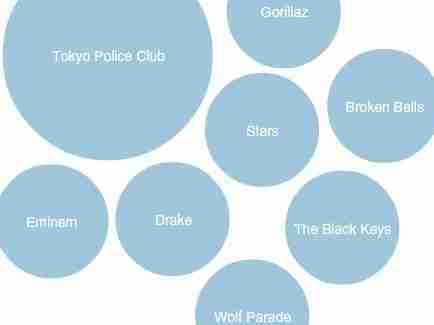 You can also "follow" fellow users/friends to peep what they're listening to most, as displayed newsfeed-style in real-time on your homepage, and everyone's profile tracks their tunes' last listenings and frequency of play, embarrassing public information considering how often you Beat It. For on-the-go vibrations they've got slick iPhone/BlackBerry apps (with Android on the way), and though getting access requires some additional monthly cash, at least you get to keep on rocking in the fee world.